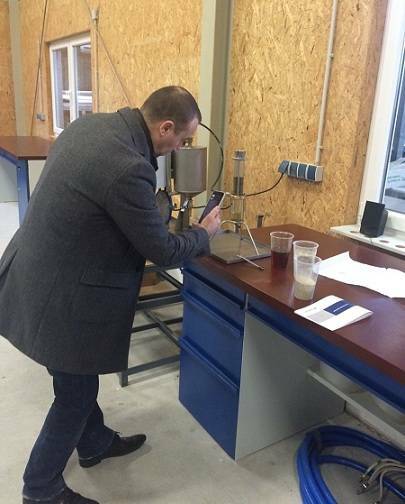 Guests from Switzerland visited GlobeCore German office in Oldenburg at the beginning of February Director and chief engineer of Swiss company wanted to learn about GlobeCore equipment for cleaning mineral oils and other petroleum products. 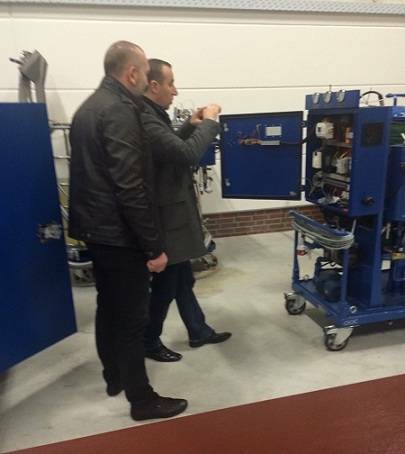 Guests were shown UVP, CMM-R and CMM installations. 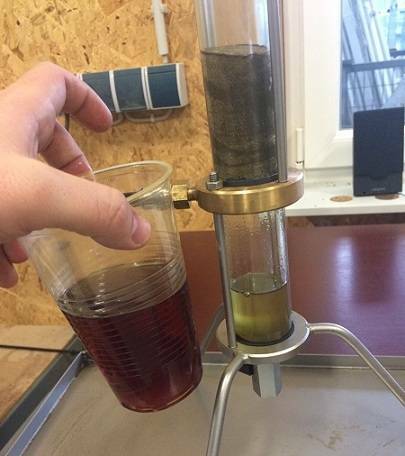 For their better understanding of the principle of regeneration the samples of contaminated oil were treated in the laboratory version UVR installation. Great interest of Swiss guests caused CMM-R installation in reactivating sorbent technology. This equipment uses fuller’s earth absorption for oil degradation products. GlobeCore has a unique method which allows to recover sorbent properties directly in the oil recovery equipment and reuse it for processing mineral oils. The regeneration process is not interrupted for replacement of the sorbent. Reactivation is undoubtedly beneficial to the environment. Fuller’s earth can be recovered up to 300 times, which is equivalent to 2-3 years of work regenerative CMM-R. On the whole, the visitors from Switzerland were pleased with their trip, and expressed a desire to visit the GlobeCore office and production facilities again to discuss the future cooperation.